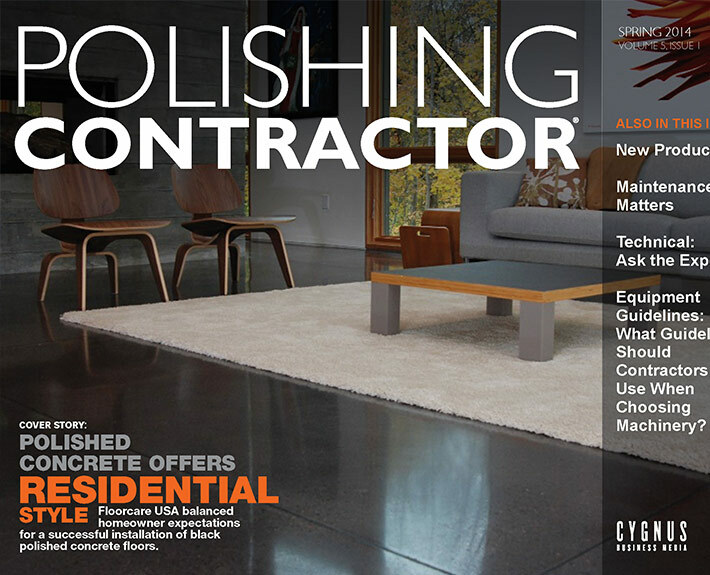 Floorcare USA was featured as the cover story for Polishing Contractor – Digital Magazine’s Spring 2014 issue. 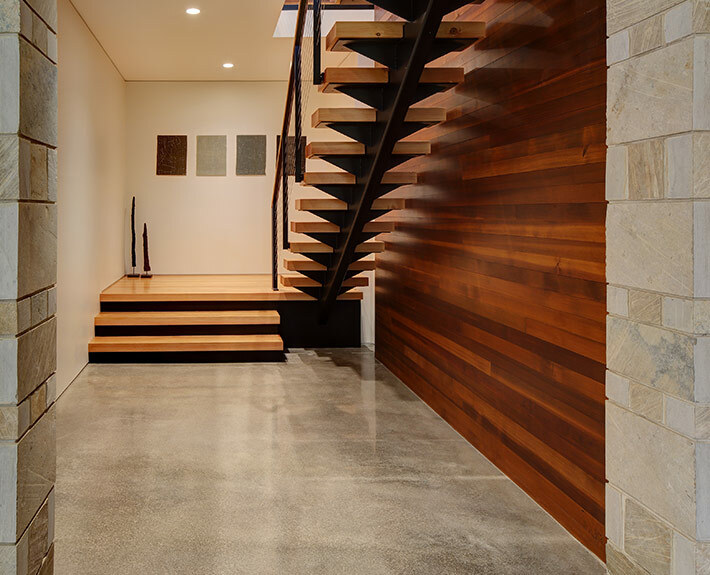 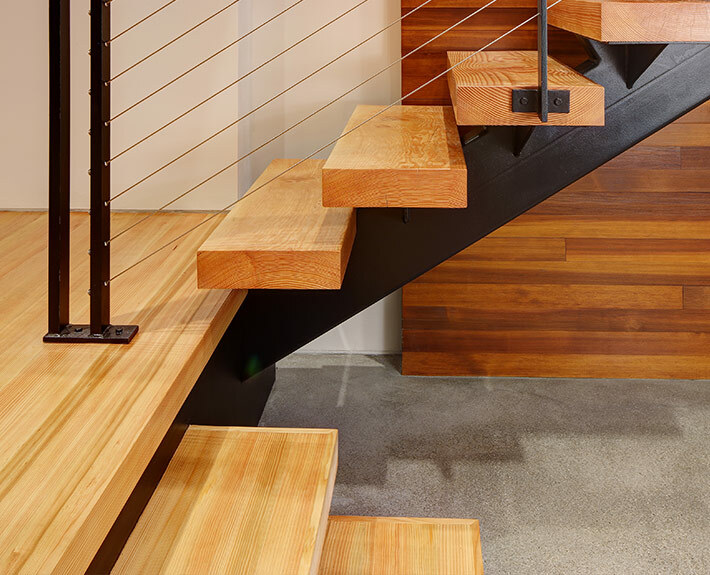 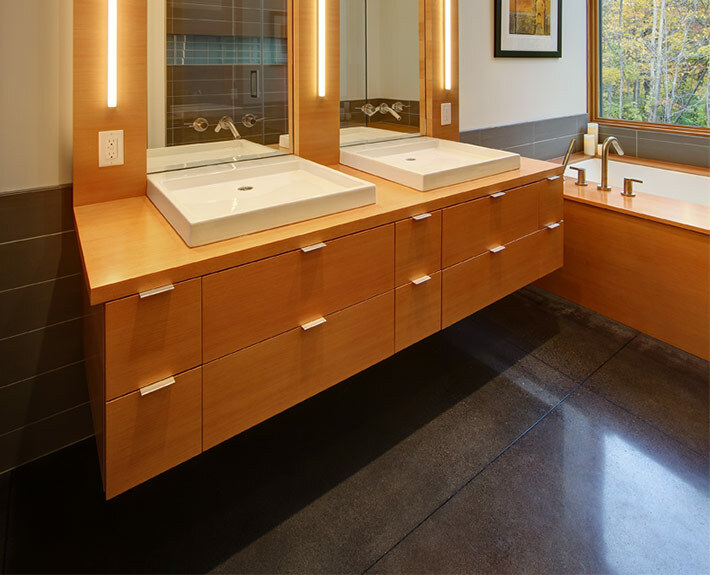 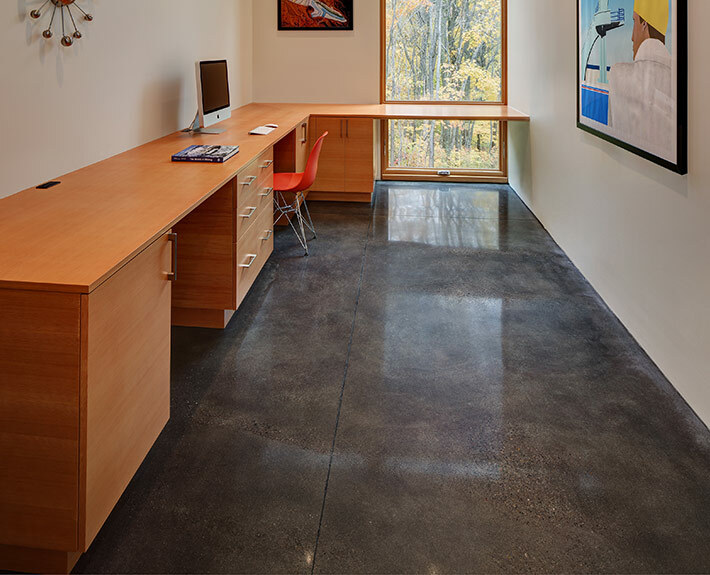 Floorcare USA balanced homeowner input and expectations for a successful installation of black polished concrete floors in this beautiful residential setting. 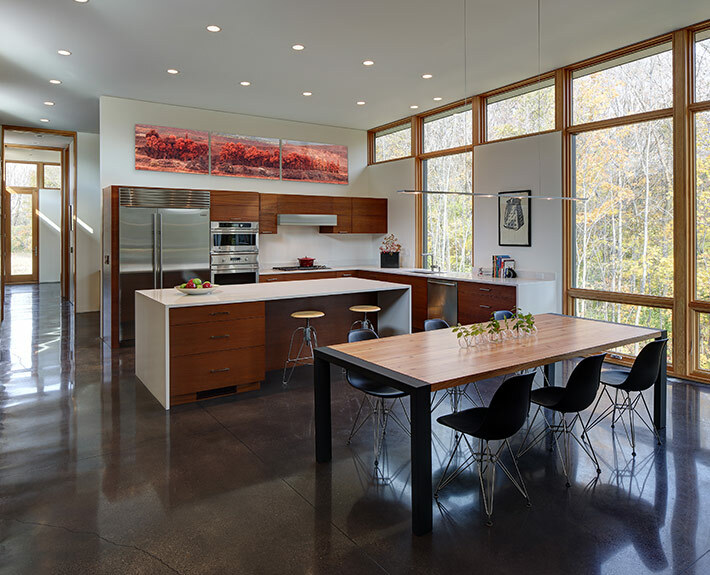 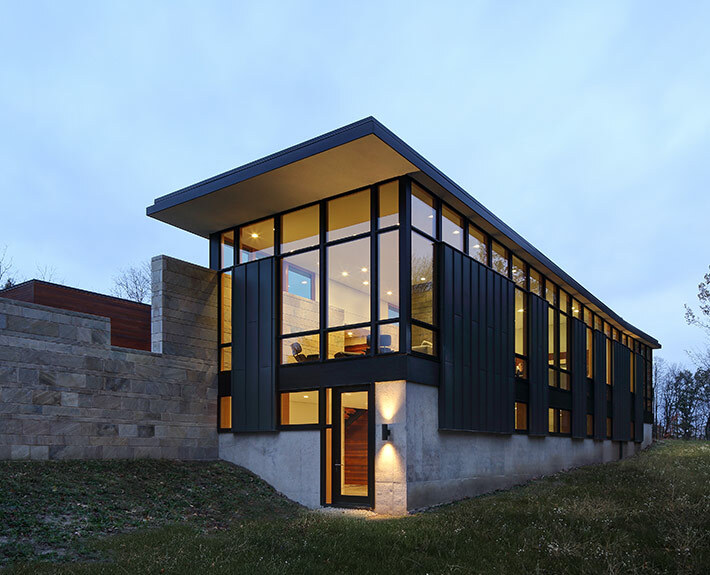 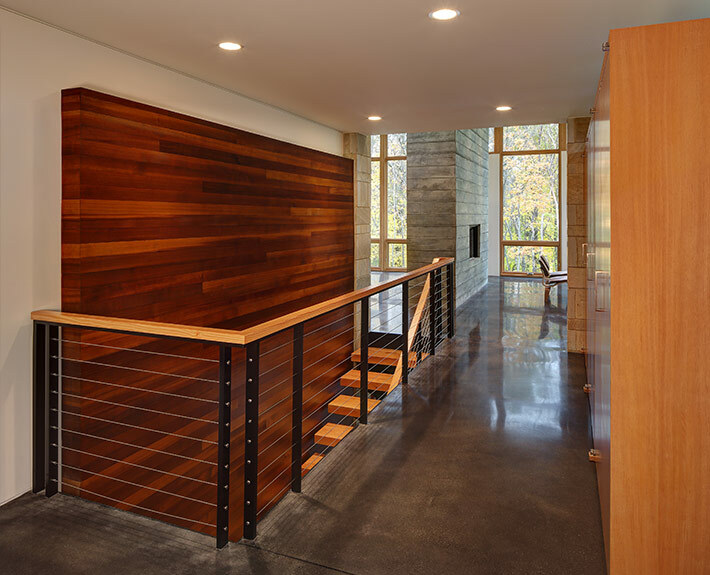 When a Wisconsin couple planned their dream house, they chose style and materials that were at once modern and rustic to complement the wooded plot of land that would be the backdrop for their new home. 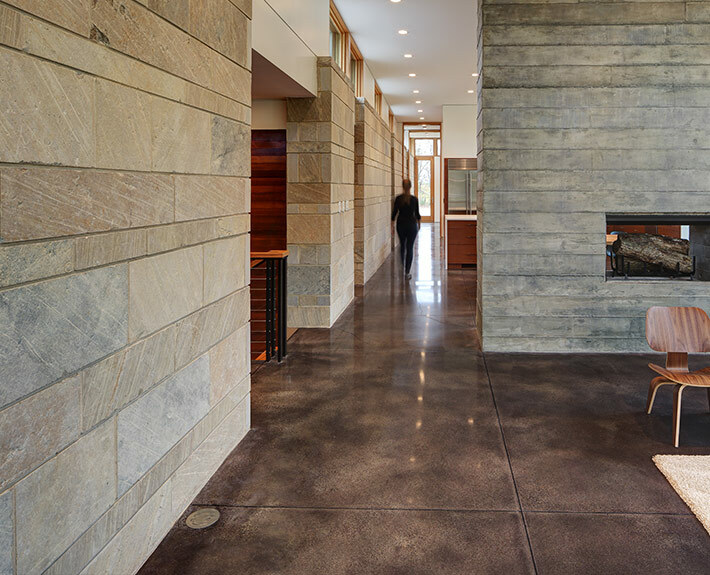 Concrete played a starring role. 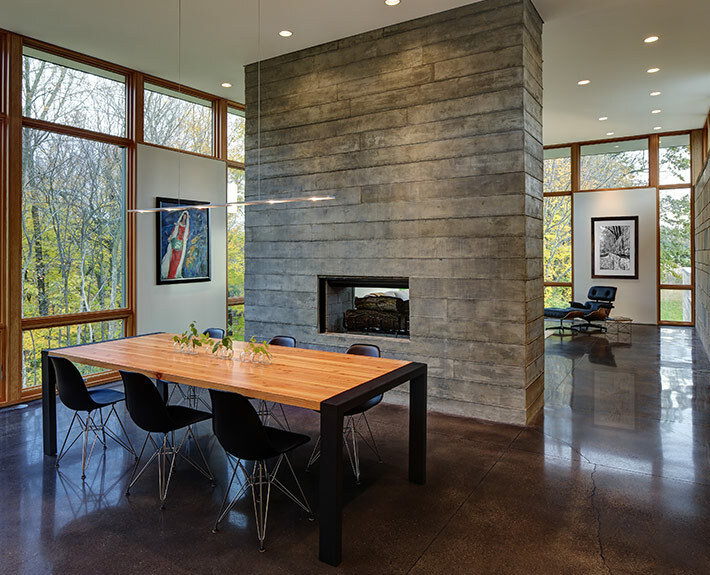 Black polished concrete floors throughout the 3,000-square-foot interior are at once stunning and subdued, offering a neutral base for the couple’s bright art and multiple textures in furniture and furnishings.